Part # XBD000053 - LH Driver side. Range Rover HSE 4.4L 03 - 05. We are Rover people. We also have the other side Part # XBD000043. Need help?. Let's chat. Part # XBD000053 - LH driver side. Range Rover HSE 4.4L 03 - 05. Trending at $124.03eBay determines this price through a machine learned model of the product's sale prices within the last 90 days. 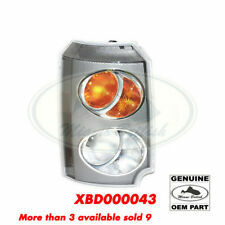 LAND ROVER RANGE ROVER L322 FULL SIZE 2003-2005 ONLY FRONT TURN SIGNAL LIGHTS. Range Rover Full Size | '03 - '05 Only RH / Passenger Side & LH / Driver Side. NEW GENUINE LAND ROVER PART# XBD000023 & XBD000033. We have a New Front Parking Turn Signal Lamp Light PASSENGER SIDE RH Part# XBD000023 Fits:Range Rover 4.4 (BMW Engine - L322 / MKIII) 03 - 05. We also for the LH Driver Side Part# XBD000033 Available! Land Rover Genuine Range Rover Sport OEM Factory Factory Genuine OEM Trailer Wiring Harness. Land Range Rover Sport LR4 LR3 LR2 Discovery Defender Freelander Genuine OEM Accessories Parts. 2003~2005 Range Rover. Land Rover Genuine Range Rover Sport OEM Factory Factory Genuine OEM Trailer Wiring Harness. Front Turn Signal Lamp BULB HOLDER. 2003 ~ 2005 Range Rover. Land Range Rover Sport LR4 LR3 LR2 Discovery Defender Freelander Genuine OEM Accessories Parts. Trending at $17.68eBay determines this price through a machine learned model of the product's sale prices within the last 90 days. Range Rover Full Size | '03 - '05 Only RH / Passenger Side. NEW GENUINE LAND ROVER PART# XBD000023. and that is considered to be their full responsibility (with no exclusions). we may ask for photographic evidence or write off the goods. We have a New RANGE ROVER DIRECTIONAL FRONT; 03-05 DRIVERS SIDE LH Part# XBD000033 Fits: Range Rover 4.4 (BMW Engine - L322 / MKIII) | 03 - 05. We also have for the RH PASSENGER SIDE Part# XBD000023 Available! 2003-2005 Land Rover Range Rover. Genuine Land Rover. Turn Signal Assemblies. Turn Signal Assembly. Front Left. Front Right. PART NUMBER. 2003-2005 Land Rover Range Rover. Turn Signal Assembly. Passenger Right Front. XBD 000023. PART NUMBER. Part # XBD000043 – RH passenger side. Part # XBD000053 – LH driver side. Range Rover HSE 4.4L 03 – 05. 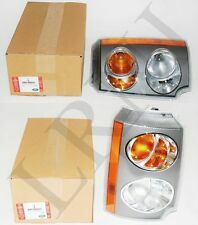 OEM Parking Signal Lamp SET RH LH. 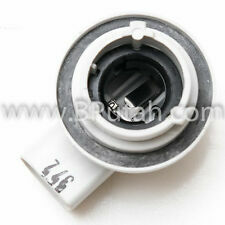 We have a New Front Turn Signal Light Lamp Left Side LH ( driver side) fits Range Rover Country/ Classic 87-92. We are Rover people. LAND ROVER RANGE ROVER L322 FULL SIZE 2003-2005 LEFT HAND / DRIVER SIDE FRONT TURN SIGNAL LIGHT. Range Rover Full Size | '03 - '05 Only LH / Driver Side. NEW GENUINE LAND ROVER PART# XBD000033. and that is considered to be their full responsibility (with no exclusions). Part # XBD000053 - LH Driver side. Range Rover HSE 4.4L 03 - 05. We also have the other side Part # XBD000043. Trending at $108.00eBay determines this price through a machine learned model of the product's sale prices within the last 90 days. Application: Front Turn Signal Light / Switchback. Dual Chip: Different from before our sale item, 42 SMD LED chip bright in Amber when turn signal, When back to Parking / DRL, also all SMD Chip Bright in White. 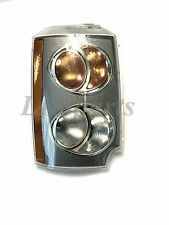 We have a New Turn Signal Lamp Left Front LH (Driver Side) fits Range Rover 95-99. Part # XBD000043 - RH Passenger side. Range Rover HSE 4.4L 03 - 05. We are Rover people. We also have the other side Part # XBD000053. Need help?. Let's chat. Suspension Air Spring Fits Land Rover Range Rover 949-999 Dorman - OE Solutions. 2003 Land Rover Range Rover. Country of Origin China. UPC 885484467620. Weight: 11 Lbs. &nbspWestarPart Number: AS-7074. Part # XBD000043 - RH passenger side. Range Rover HSE 4.4L 03 - 05. Trending at $120.16eBay determines this price through a machine learned model of the product's sale prices within the last 90 days. 2003 Land Rover Range Rover. Maximum Air Pressure2.2 MPA. UPC 885484467460. California Proposition 65WARNING: Cancer and Reproductive Harm ?. Weight: 31 Lbs. &nbspWestarPart Number: AS-7344. &nbspArnott IndustriesPart Number: AS-2962. Suspension Air Strut Fits Land Rover Range Rover Sport 949-889 Dorman - OE Solutions. 2010 Land Rover LR4. Maximum Air Pressure3 MPA. Country of Origin China. UPC 889245143570. Weight: 22 Lbs. &nbspArnott IndustriesPart Number: AS-2534. 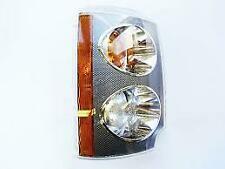 LAND ROVER RANGE ROVER CLASSIC 1992-1995 TURN SIGNAL LAMP AMBER VERSION. Models: Land Rover Range Rover Classic 1992 - 1995 Amber Version. Suspension Air Spring Fits Land Rover Range Rover 949-865 Dorman - OE Solutions. 2003 Land Rover Range Rover. Country of Origin China. UPC 889245066732. Weight: 11 Lbs. &nbspWestarPart Number: AS-7073. Suspension Air Spring Fits Land Rover Range Rover 949-958 Dorman - OE Solutions. 1995 Land Rover Range Rover. Country of Origin China. UPC 885484460775. Weight: 7 Lbs. &nbspWestarPart Number: AS-7033. Suspension Air Spring Fits Land Rover Range Rover 949-957 Dorman - OE Solutions. 1995 Land Rover Range Rover. Country of Origin China. UPC 885484460614. Weight: 7 Lbs. &nbspArnott IndustriesPart Number: A-2691. Suspension Air Spring Fits Land Rover Range Rover 949-963 Dorman - OE Solutions. 2003 Land Rover Range Rover. Country of Origin China. UPC 885484461598. Weight: 5 Lbs. &nbspWestarPart Number: AS-7016. 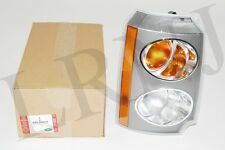 OEM LAND ROVER RANGE ROVER PASSENGER FRONT TURN LAMP. We are a Land Rover dealer in the USA. 2003-2005 Range Rover Right Front Turn Signal Light Assembly. PART # PRC8948. RANGE ROVER COUNTY OR CLASSIC 92-95. 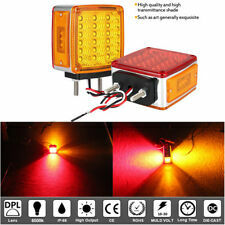 FRONT TURN SIGNAL LIGHT LAMP. LH – LEFT SIDE (DRIVER SIDE). Part # XBD000043 - RH Passenger side. Range Rover HSE 4.4L 03 - 05. We also have the other side Part # XBD000053. 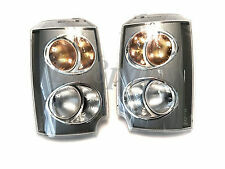 We have a New Turn Signal Lamp Right Front RH (Passenger Side) fits Range Rover 95-99. We also have for the LH Driver Side Part# AMR2485 available! We are Rover people. Part # PRC8950. Range Rover County or Classic 92 – 95. FRONT TURN SIGNAL LIGHT LAMP. LH – LEFT (DRIVER SIDE). Part # PRC8949. Range Rover County or Classic 92 – 95. FRONT TURN SIGNAL LIGHT LAMP. RH – RIGHT (PASSENGER SIDE). 2003-2005 Range Rover Front Turn Signal Light Set. FREE within The United States. Part # XBD000033, XBD000030, XBD000031, XBD000032. Range Rover HSE 4.4L M62 03 - 05. LH - LEFT (driver side). 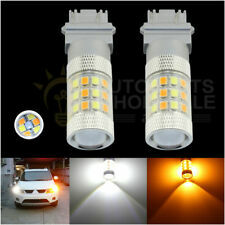 3157 Dual Color Switchback White/Amber 60 SMD LED Turn Signal Corner Light Bulbs. Application: Front Turn Signal Light / Switchback. 1157 P21/5W 1016 1034 2057 1157 2397 2357 198 7528 1662. 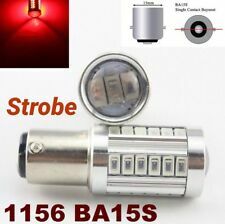 Canbus 1156 7506 Amber 25W CREE LED Projector Lens Rear Turn Signal Light Bulb. It is OEM made by Magneti Marelli so you know you are getting a top quality part. We also have the LH side available as well as both sold together. 2017 LAND ROVER RANGE ROVER DISCOVERY. 2013 - 2017 LAND ROVER RANGE ROVER. 2014 - 2017 LAND ROVER RANGE ROVER SPORT. 2012 - 2015 LAND ROVER RANGE ROVER EVOQUE. THIS RIGHT TURN SIGNAL WILL FIT ON THOSE MODELS LAND ROVER. The turn signals on your Land Rover and Range Rover play an important role in the lighting system for your vehicle. When you need to replace the Land Rover and Range Rover turn signals, there are many options available. Here are some questions that may come up when selecting turn signals for your luxury SUV. What type of turn signals are available? There are different types of turn signals that you can use in your Land Rover and Range Rover. Understanding the different options available can be helpful when you need to make a selection. Turn signal mirrors are a series of LEDs that are built into your side mirrors. One advantage of this style of turn signal is that they can be seen easier from the blind spots on your Land Rover. LEDs also light up faster than normal bulbs, which can be helpful when you need to signal at higher speeds. Front and rear turn signal lights can come in a variety of lighting options, and are standard on vehicles. 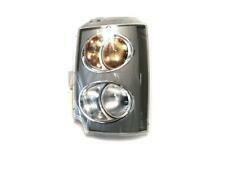 These can either be part of the headlight unit or a separate component that can be accessed separately. What lighting options are available for Land Rover vehicles? Automotive light bulbs can come in a variety of styles and materials. Understanding the types of bulbs available can be helpful when you need to choose a style for your Land Rover and Range Rover. Halogen light bulbs work similarly to other incandescent bulbs. One major difference over normal types of light bulbs is that halogen bulbs use an arc of electricity instead of a filament. These can produce a brighter light and last about three times as long as incandescent light bulbs. Incandescent bulbs are the most commonly used in your Land Rover and Range Rover. These light bulbs usually use a tungsten filament and are more widely available than other styles. LEDs can achieve full intensity faster than incandescent bulbs. This can be useful when you need to turn on the signals in an emergency. LEDs also use little electricity and last long. What are tips for selecting turn signals for Rovers? 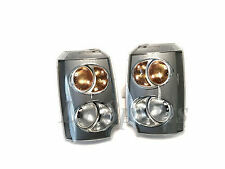 Selecting turn signals for your Land Rover and Range Rover can be overwhelming with the number of options available. Following these guidelines can be helpful when you need to make a selection. Select turn signals that are compatible with your vehicle: You will want to know the make, model, and year of your vehicle. In some instances, the factory will switch parts in the middle of the production year so knowing the production date can be helpful. Select a style: You can choose from a variety of light bulbs and housing options for your SUV. Select a brand: You can select from several third party and factory-direct options that are compatible with your Land Rover and Range Rover. What companies manufacture replacement turn signals for Land Rovers? When you need to select a replacement turn signal for your Range Rover or your Land Rover, you have several companies to choose from. If you prefer OEM options, select from those made by Land Rover. Eiko, Philips, Sylvania, and other companies produce aftermarket options as well.